In the 1930s, two iconic American cities, Atlanta and Chicago, demolished their slums and established some of this country’s first public housing. Six decades later, these same cities also led the way in clearing public housing itself. Vale’s groundbreaking history of these “twice-cleared” communities provides unprecedented detail about the development, decline, and redevelopment of two of America’s most famous housing projects: Chicago’s Cabrini-Green and Atlanta’s Techwood /Clark Howell Homes. Vale offers the novel concept of design politics to show how issues of architecture and urbanism are intimately bound up in thinking about policy. Drawing from extensive archival research and in-depth interviews, Vale recalibrates the larger cultural role of public housing, revalues the contributions of public housing residents, and reconsiders the role of design and designers. "The beauty of Mr. Vale’s book is that as a scrupulous scholar he lays out his two case studies with all the careful detail you as a reader need to judge his conclusions." 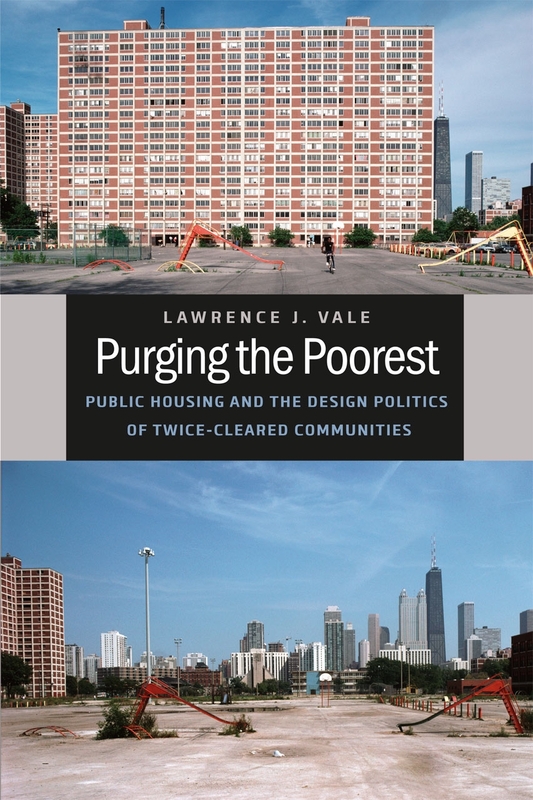 "Producing a thoroughly researched, well-written volume, Vale has contributed an eloquent history to the literature on US public housing."